View the 5 newest listed homes for sale in West Valley City below. Homes for sale in Wast Valley City start in the low $100,000's with some condos selling below $100,000. Overall homes in West Valley are much more affordable than areas to the east but West Valley still offer many wonderful neighborhoods with easy access to freeways, entertainment, shopping and dining. West Valley City is located just southwest of Salt Lake City, mostly west of the I-15 in Salt Lake County. 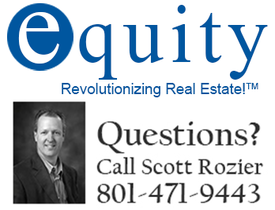 To search all homes for sale in West Valley City use the Advanced Search tool above. We make buying a home in West Valley more fun with our buyer rebates. When a home is listed for sale on the Realtor's MLS it is automatically added to UtahRealtyGroup.com in real time making this the most accurate and reliable real estate website in Salt Lake County. Know about the newest listed homes for sale in Salt Lake City before most Realtors.